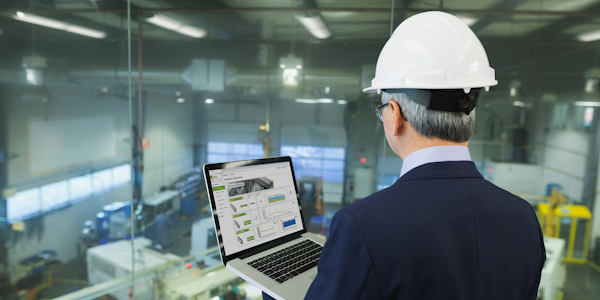 WAGO Group, an international, standard-setting supplier of electrical interconnection, automation and interface electronic products based in Minden, Germany, launches a new version of WAGO Cloud with a greater emphasis on usability. In addition to tried-and-trusted functions such as controller status management and dashboards, WAGO focused on developing a modern, clear design in the app’s structure, as well as other functions such as remote access. With its cloud, WAGO offers a simple and intuitive solution for centrally managing machine data. With the updated WAGO Cloud, users get it all at a glance. 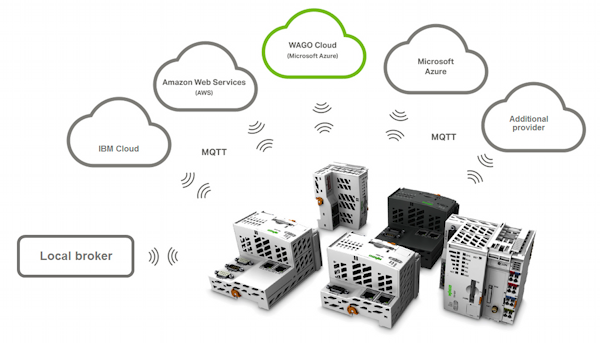 The cloud manages and monitors both WAGO Controllers PFC100 and PFC200 that receive data from machines and systems. The data, in turn, can be further analyzed in the cloud and visualized, for example, using trends and graphics. The strength of the cloud lies in its simplicity. It offers everything the user needs for central data analysis. Within minutes, a PFC Controller is connected to the cloud and the first dashboards can be created intuitively, without IT expertise. With its modern app structure, the cloud solution is clearly structured. The cloud service‘s user interface is a web portal that provides users with full access to functions, such as project, controller and user management or controller status monitoring, alarm functions and email messaging. Thanks to the prepaid model and transparent billing management, users always have full control of costs and can flexibly adapt WAGO Cloud usage to meet their individual needs. Cloud connectivity paves the way to the WAGO Cloud, as well as to a variety of cloud solutions and services from other vendors such as Amazon Web Services, Microsoft Azure, IBM Cloud, SAP Cloud or other MQTT brokers. Both the WAGO-I/O-SYSTEM 750 and 750 XTR connect to the field level, and a WAGO PFC Controller sends data to the cloud. All of the data converges in the cloud and can be used for analysis. With cloud connectivity, users save their budgets because it can handle event-based publishing, i.e., event-driven data transfer. This advantage dramatically reduces data volumes and provides users with significant savings for mobile connections. The WAGO Cloud creates true added value for companies – whether for increasing the efficiency of in-house production, implementing energy management in buildings or developing additional end-customer services. Cloud connectivity provides a tremendous advantage since the controllers from the PFC family of the modular 750/750 XTR Series can collect every field signal. The controllers can handle numerous industrial protocols and even enable cloud connection of sensors and actuators that themselves have no Web interface. Thanks to native integration of the MQTT protocol, cloud connectivity also supports a large number of other MQTT brokers, whether local or online. It can be used flexibly because the native MQTT integration with publish/subscribe capabilities allows the data structure to be aligned with the MQTT broker‘s specifications. Both products will be available in the first quarter of 2019.